This week I am starting a new feature: Monday Masks. 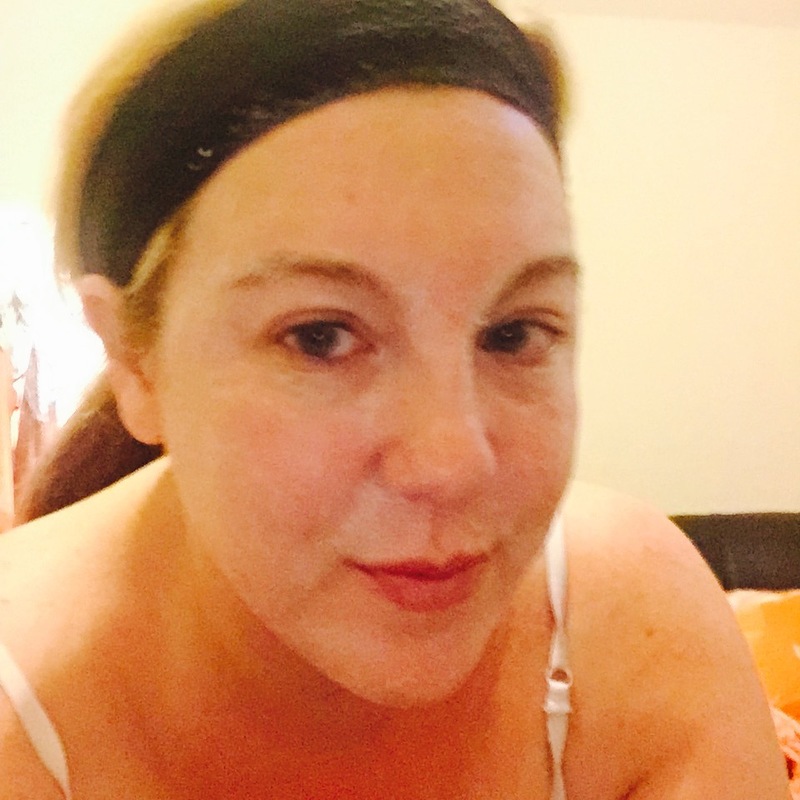 Facial masks are my favorite part of skin care and I use various masks, 3 times per week. 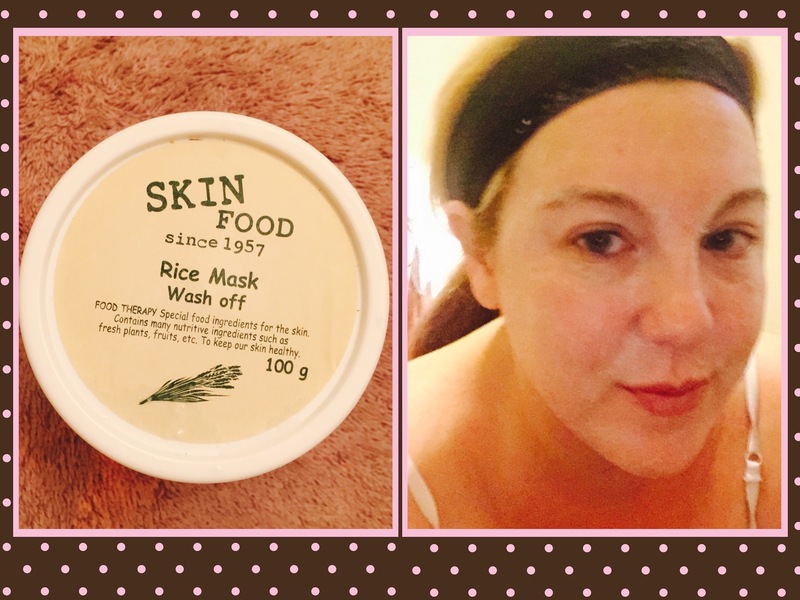 This week I tried a new mask: Skin Food’s Rice Wash Off Mask. Recently, I have been exploring the world of Korean skin care. Through this research I was introduced to the brand Skin Food. This Korean brand prides itself on optimizing high quality ingredients in food and incorporating them into their beauty and skin care products. 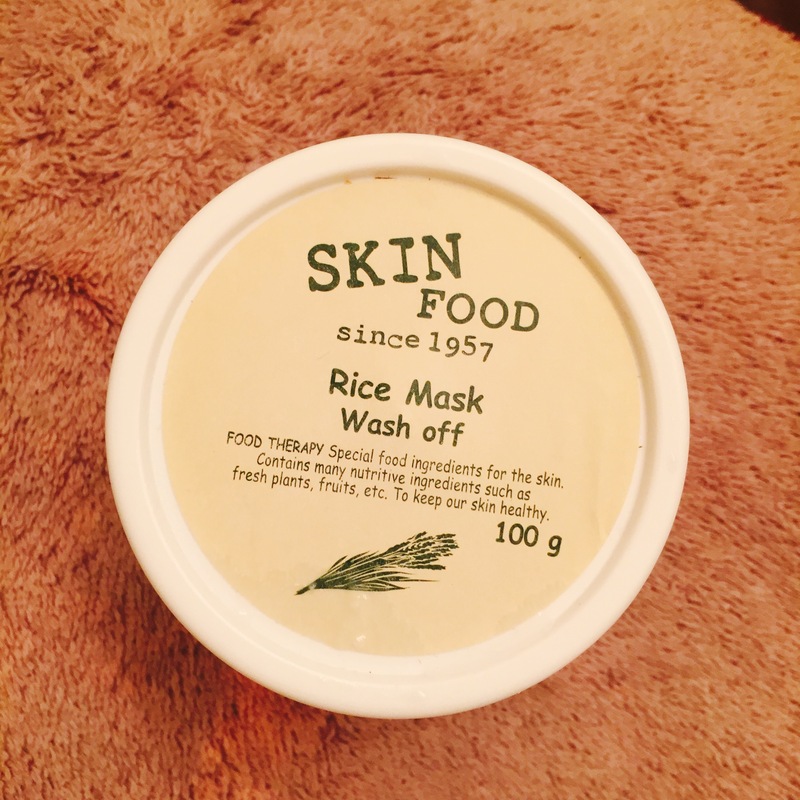 On a whim I chose to purchase their wash-off Rice Mask. This mask aims to brighten your skin tone while also moisturizing the skin. 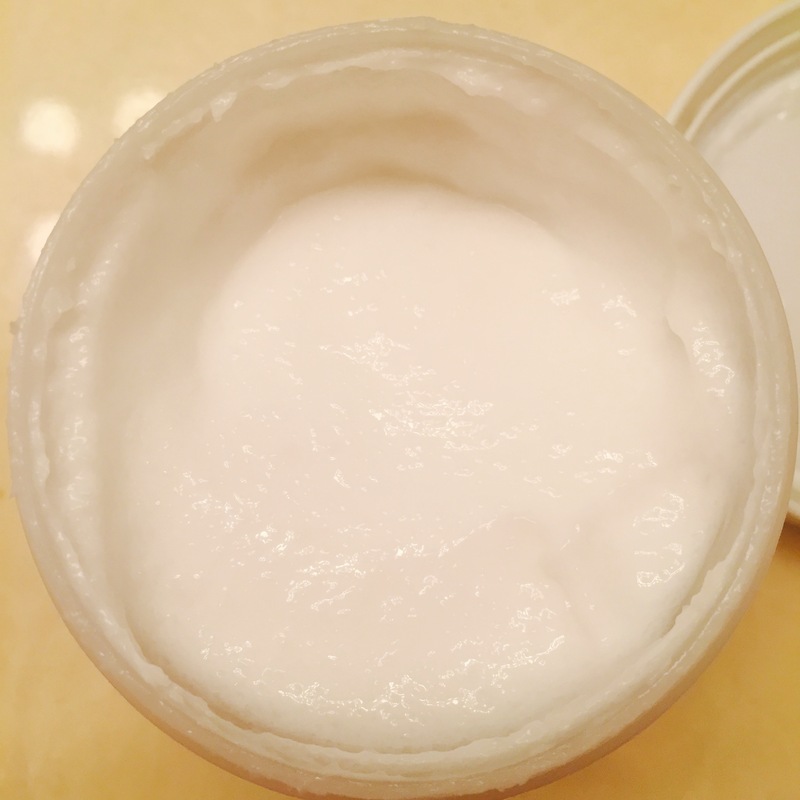 After cleansing my face with my favorite micro-exfoliator, I let my face air while I read how to apply this mask. The directions were pretty straight forward: apply a thorough amount to a clean face, focus on your nose, avoid your mouth and eyes, let sit for 20 minutes and wash off. When opening the packaging I discovered that the mask was a white, whipped, cream like consistency. I rubbed a small amount between my fingers and was surprised to find a grainy texture (I don’t know why I was surprised, of course a mask made from rice would be grainy). 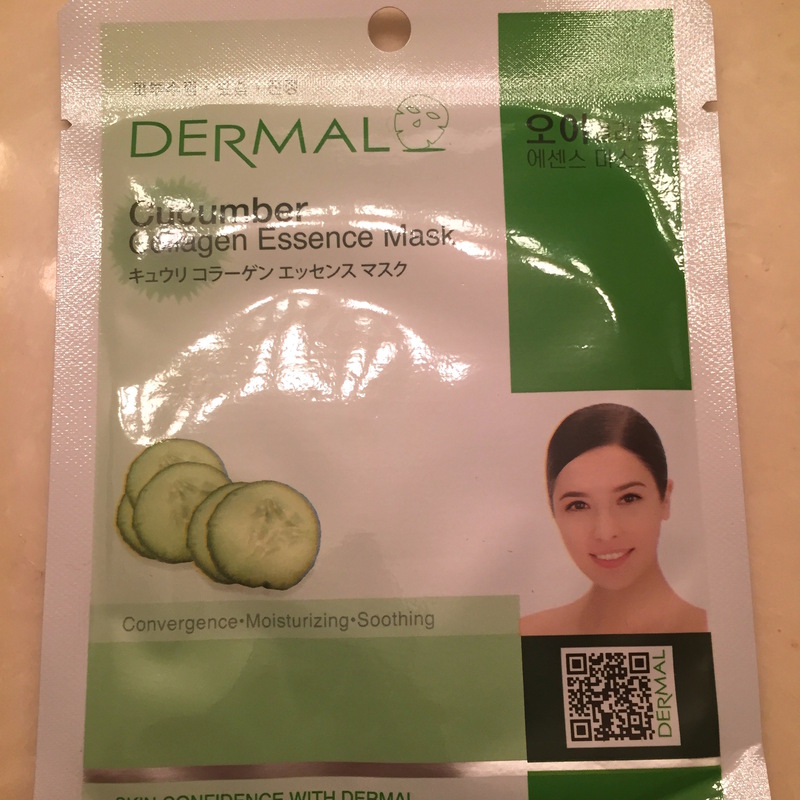 After my face dried, I applied the mask to my entire face. 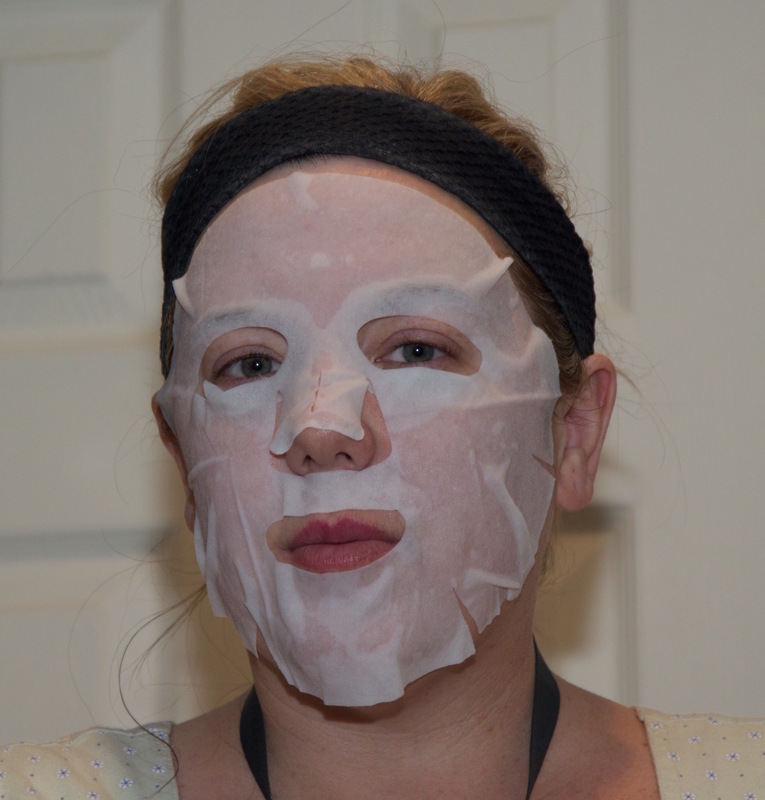 Because the mask had a grainy texture, I decided to massage the mask into my face. The first thought I had while wearing the mask was that I loved the smell. It is very light and refreshing. I kept thinking to myself that this is a perfect summer treat. When I glanced in the mirror, I noticed that my face looked like it had a ton of lotion on it, rather than a mask. You can barely tell I have anything on my face. It looks like I have some thick lotion on, rather than a mask. The mask didn’t harden, unlike most masks I wear. Instead, it seeps into your skin. After 20 minutes, it was time to remove. Using warm water and my hands I rinsed my face and the mask came right off. Instantly I noticed my skin was super soft! This is a nice mask to add into my rotation. Unlike other masks I use, I don’t feel it working when it is applied, so it was difficult to determine when the mask was “done”. It doesn’t target any of my specific needs, so I doubt this will climb to holy grail status for me, but I will certainly use it again!